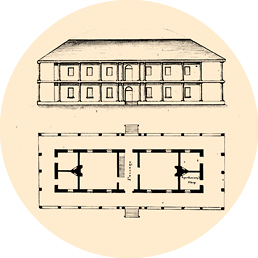 Financed with 45,000 gallons of rum, Governor Macquarie’s ‘Rum Hospital’ provided 200 beds for convict patients. 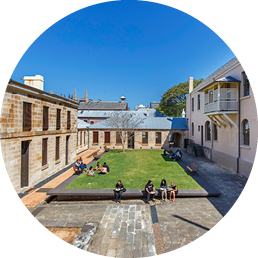 Today the Mint houses Sydney Living Museums' head office, venue hire spaces, a restaurant and café, and is also home to the Caroline Simpson Library & Research Collection. Financed with 45,000 gallons of rum, Governor Macquarie’s ‘Rum Hospital’ provided 200 beds for convict patients. But stuffy, overcrowded and rife with dysentery, it quickly became known as ‘the Sidney Slaughter House’. Functioning 1816-1842 as the south wing of the General ‘Rum’ Hospital for convicts, the site later provided an infirmary and dispensary for poor people. What was the Rum Hospital? Open for business in 1855, the Sydney Royal Mint was the first overseas branch of London’s Royal Mint where 1200 tonnes of colonial gold were minted into 150 million sovereigns. Between 1926 and 1997 almost 20 different government departments and law courts came and went from the Mint buildings. Integrating new and heritage buildings, historic structures and archaeological elements, the site today houses our head office, venue hire spaces, a restaurant and café, and is also home to the Caroline Simpson Library & Research Collection. Sydney Living Museums has launched an inspiring new professional development program for primary school teachers. The arrival of spring heralds the return of two popular food-related festivals, as well as two exclusive events in our Colonial Gastronomy series. This podcast, first recorded at the “Our Healthy Heritage” seminar series, hosted quarterly by the Australian and New Zealand Society of the History of Medicine features SLM curator Dr Fiona Starr retelling stories of the colony’s first general hospital: the Rum Hospital. To mark the 1914–18 centenary of World War 1, Sydney Living Museums has developed a special mini-website exploring the wartime engagement of individual men and women associated with our historic places. Convicts who were lucky enough to survive the transportation voyage, often arrived at Sydney Cove suffering infectious disease or other illness, and were admitted directly to the colony’s General 'Rum' Hospital. When Lachlan Macquarie began his term as governor of NSW in 1810, Sydney was in desperate need of a new hospital. The hospital was the first project in Macquarie’s ambitious building program. Between 1926 and 1997 nearly 20 different government departments and law courts came and went from the Mint buildings. 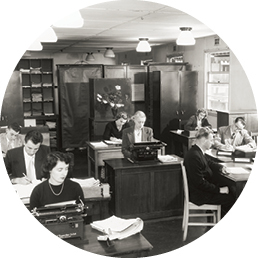 Find out how personal memories, archival research and curatorial leg work uncovered fascinating tales about the not-so-distant past of this familiar Macquarie Street edifice. Arthur McPhail Kilgour enlisted in the First Australian Imperial Force in October 1915, at the age of 19 years and eight months. Being under 21 meant he should have required his parents’ permission. However, he falsified his age on his attestation papers, giving it as 22 years and eight months. Perhaps his parents did not endorse their eldest son going to war but felt the decision was his to make and so did not inform the authorities. Daniel Alfred Charles Clifford joined the workforce at the Sydney branch of the Royal Mint on 1 March 1915, aged 26. In November 1916, Clifford enlisted in the Royal Australian Navy (RAN) with a character reference from the Deputy Mint Master stating that ‘during the whole term of his service his conduct has been uniformly excellent’. When Sydney’s Rum Hospital was completed in 1816, the buildings were already showing signs of potential collapse, but newly-appointed Civil Architect Francis Greenway came to the rescue. Meet the fascinating Robert Hunt, a senior Mint official, chemist and, according to Megan Martin, 'one of a new breed of formally qualified practical scientists', who also found time to take beautiful photographs of Sydney and its harbour. Architect Richard Francis-Jones pieces together the epic transformation of, in his words, this 'extraordinary and hidden ruin, shy to the public gaze' into a vibrant centre, an inviting public place open to all. 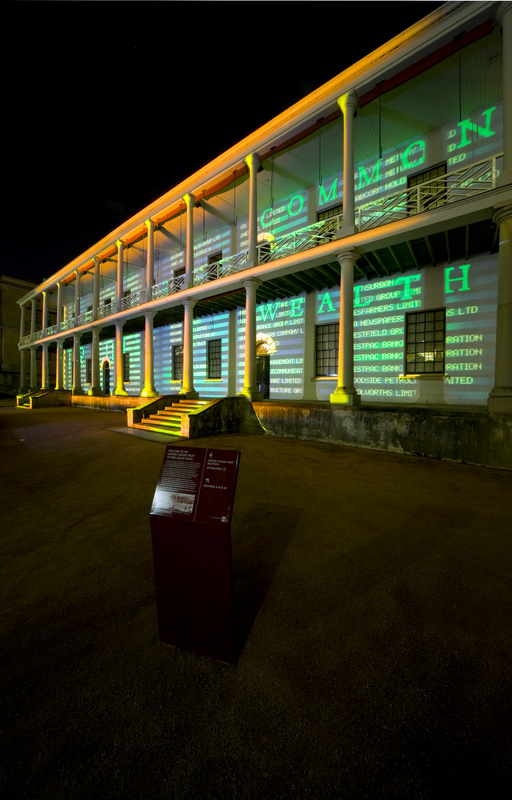 The front of the Mint building at night during the Macquarie Lights festival in 2010. 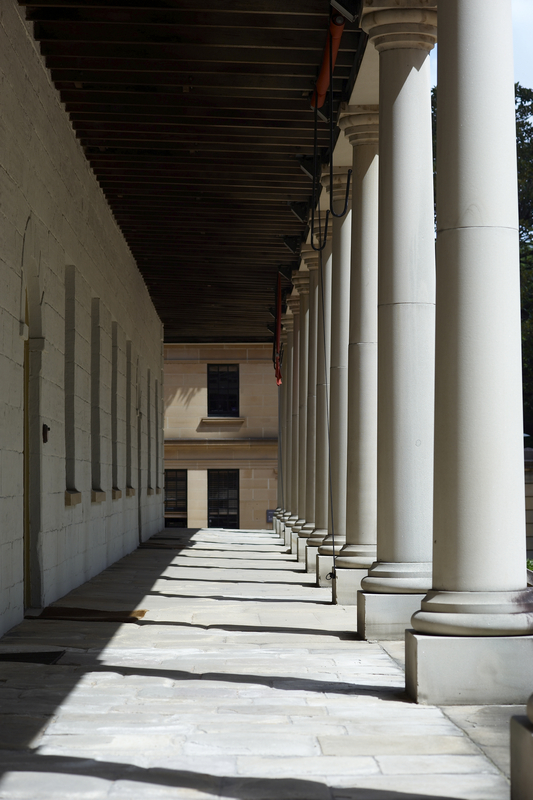 View along the front verandah of the Mint building, looking south towards the Guardhouse. 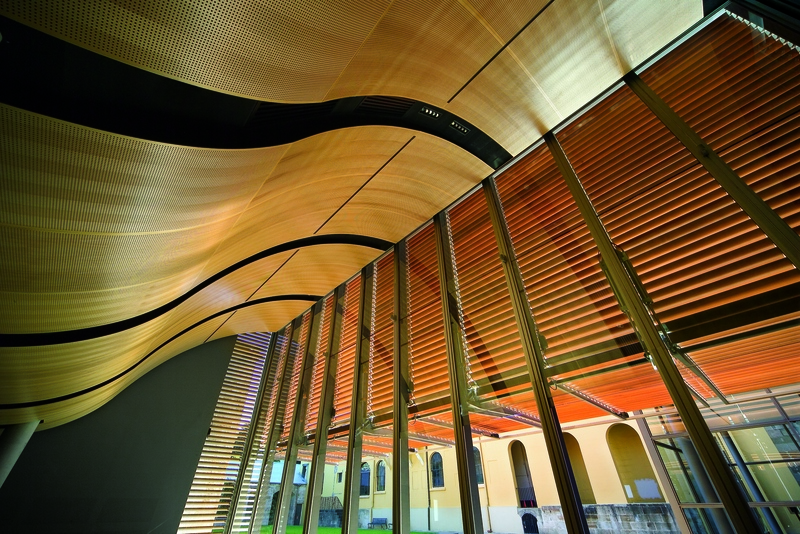 The curved roof of the Mint auditorium. The internal courtyard can be seen through the louvres. 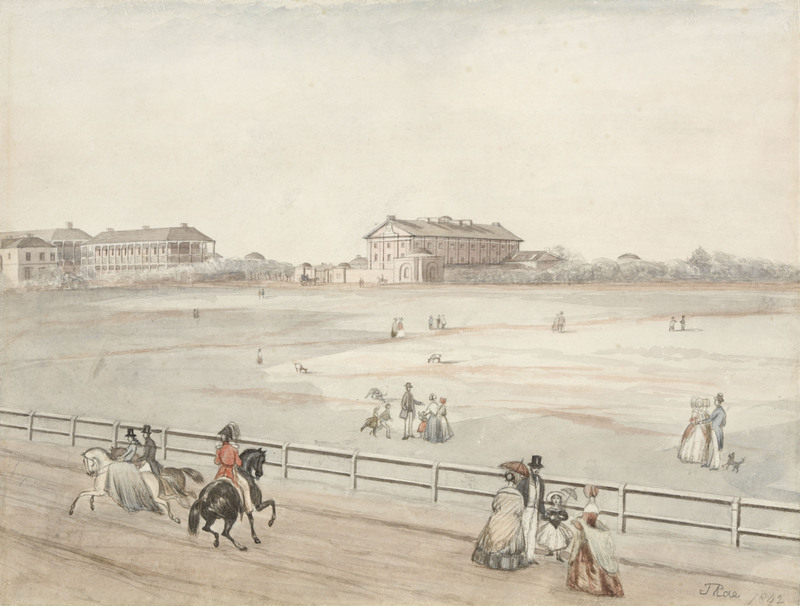 Watercolour painted in 1842. The The Mint building can be seen to the left of the Hyde Park Barracks, standing in the centre of the iamge. A function at the Mint in the internal courtyard and bar. This area can be booked for events by contacting our venues team. 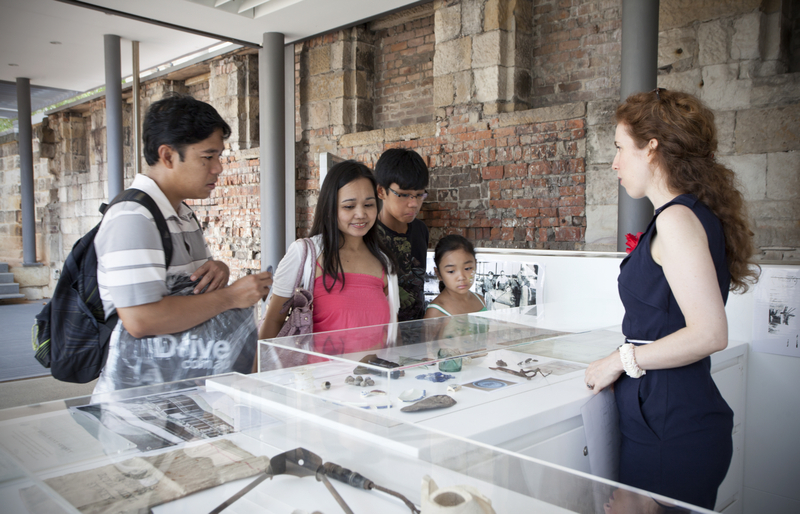 Visitors talking to curator Fiona Starr at The Mint on Australia Day 2013. 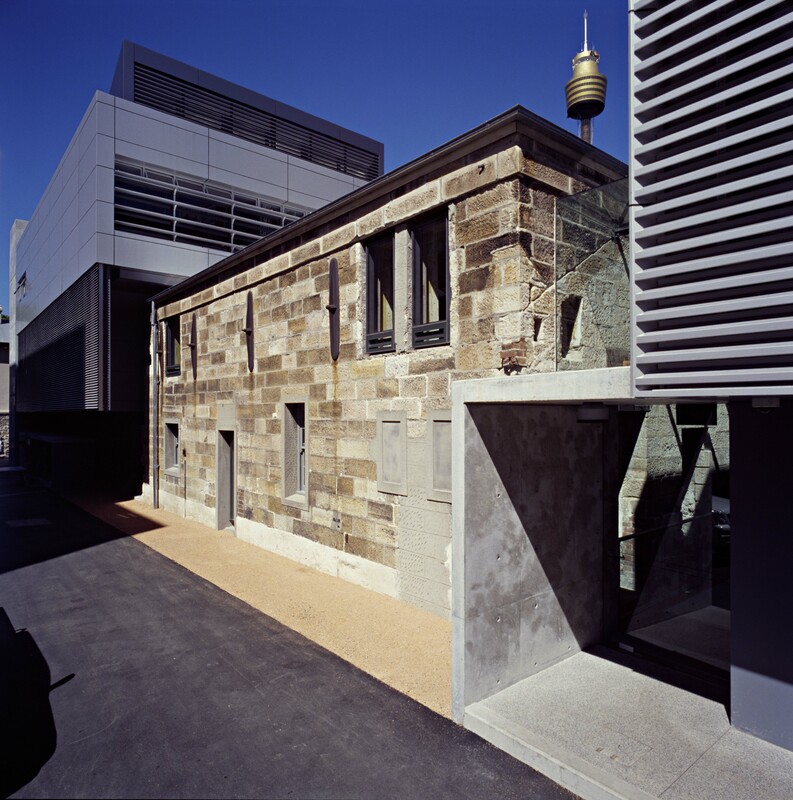 Rear elevation of redeveloped coining factory building, showing modern 2 storey office wing, original colonial wing and adjoining modern auditorium and services wing. Staircase outside the Boardroom, The Mint. 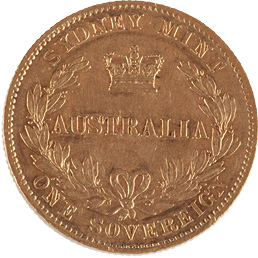 When the Sydney Mint’s Coining Factory opened in May 1855 it contained the most cutting-edge technology in the colony. The building itself was equally innovative. 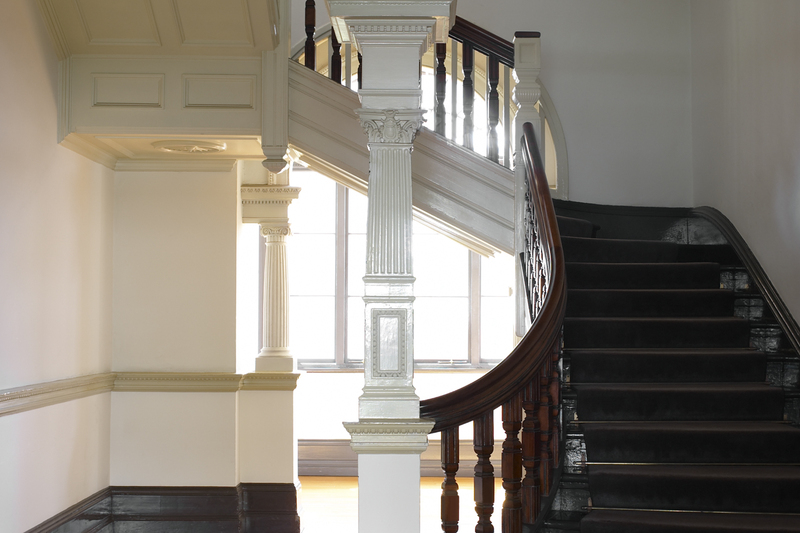 Made of prefabricated cast-iron components, it was shipped in pieces to Sydney, where it could be quickly assembled.